Leaving for a holiday but your residential door is becoming a headache? Or leaving the office, but the door lock is not working? Don’t worry, call a professional lock service in San Antonio Texas and let them take care of your emergency locksmith needs. The professional will take care of every lock and will provide you with the peace of mind. You can count us for reliable and on-call services. We have skilled technicians who adhere to offering all services. We believe that emergencies can occur anytime, and we are ready to handle those emergencies with ease. Simply call us, and we’ll be there with our team of experts to protect your belongings from intruders. When in need of emergency services, call us for safe and dependable lock services. You can count on us for all your residential, commercial and automotive lock needs. Our skilled technicians can help you in home lockouts, key removals, rekeying and other office lockouts. We also offer car key replacement, car lockouts, car ignition key replacements and more. All our technicians are expert in offering best in class services. With over five years of experience in this niche (installing and repairing) all locks, we are ready to solve your all your lock needs at one call. Our experienced and highly qualified team is equipped with all the latest tools to fulfill all your lock and key needs. We install all kind of models of the locks and other key locks to help you. We have experience in installing biometric locks, manual locks, profile cylinder locks, deadbolt locks and more. Already have a garage door lock that needs repairs? Call us and let our technicians help you! We work with all the latest tools and technology so that you get prompt and best services! We invest in tools and locks that are best in class and are highly advanced. Moreover, our mobile vans are equipped with basic as well as advanced tools to help cater your residential and commercial locksmith needs. Our motto is to offer high-end services to our clients at the time they need us. People rely on us due to our quality products and on-call services. We strive to serve the best and satisfactory services. We make sure that our clients are happy and are stress-free. Losing car is now a thing of past with San Antonio Car Key Pros. 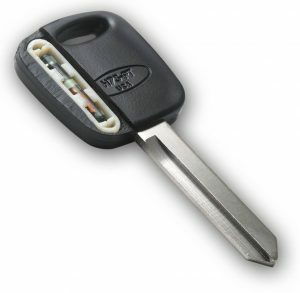 We offer car key replacements and have experience of handling keys of all models. Be it a domestic car or the foreign; we are dexterous in working with all type of keys. We offer key replacements for chipped keys, proximity keys, transponder keys and more. Simply call us, and we will reach to you in just 30 minutes. If you are having any problem in inserting the keys to the ignition or removing keys from it, simply call us and let us help you. We also offer quality car key ignition replacement and repairs around the clock. We know that any faulty switch can be risky for the car as well as for the driver. Call us for rekey, repair and replace all ignition key mechanics. We are expert in making car key transponders, chipped keys, car key remotes, car key fobs of all cars. You can call us to directly to program your keys so that the chip in your keys fits in your car. So next time, you lose your keys or have dropped them somewhere call us for car key programming in San Antonio. We know that car lockouts can happen anytime and can disrupt your schedule. However, calling an expert like us can help you anytime. 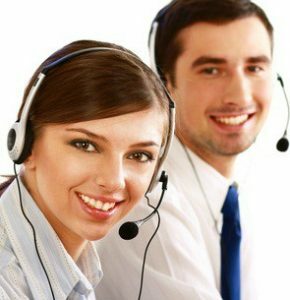 Just call, and we will reach to help you in 30 minutes with all our advanced tools and equipment to help you. Emergency Locksmith, In San Antonio, Texas https://carkeyssanantoniotx.com/emergency-locksmith/ 3.8/5 based upon 19 reviews.